Best Buy has a Flash Sale today! Get huge savings on laptops and accessories! Save up to $150 on latops and MacBook. 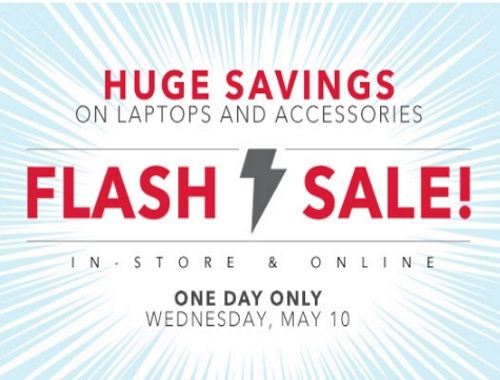 Offer is valid today only, Wednesday, May 10 in-store and online.